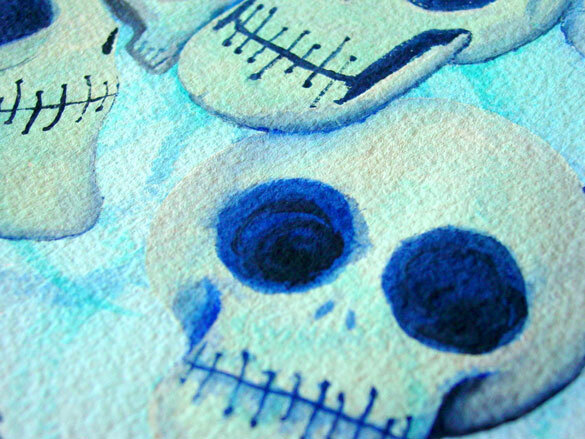 Whimsical cartoon skulls are rolling around on a background full of spirals, with a lovely blue-black painted border that emphasizes the natural torn edges of the paper. 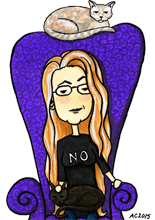 Each cartoonish skull has its own character, just like the real ones we all have hiding under our skin. 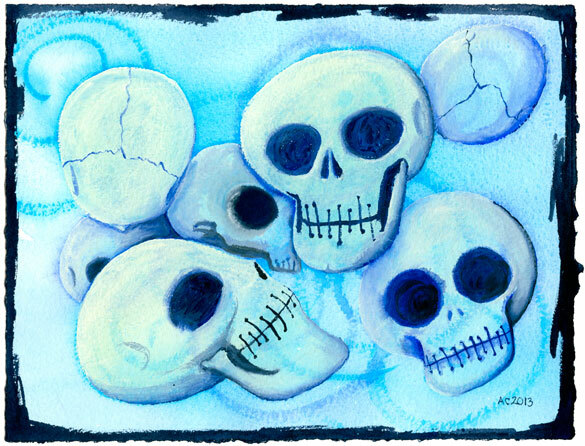 7 Skulls, 9″x7″ watercolor on paper. Above, you can see a detail of the skulls and the thick, textured paper they’re painted on. 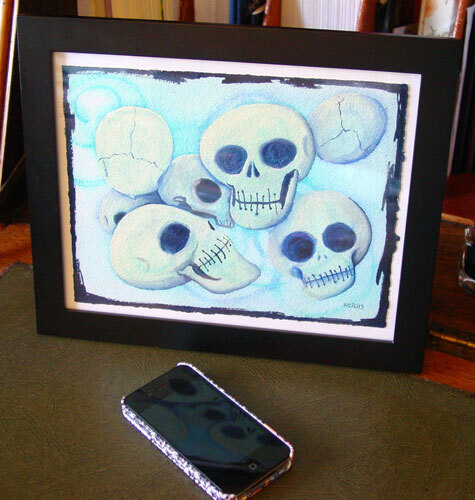 Below, I’ve put them temporarily in an 8×10 frame, so you can get a feel for the actual size of the painting.